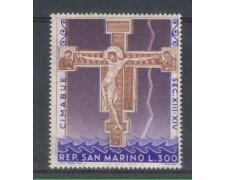 1967 - SAN MARINO - CIMABUE " LA CROCEFISSIONE " ( UNIF/SASS.754) NUOVO GOMMA INTEGRA ORIGINALE. 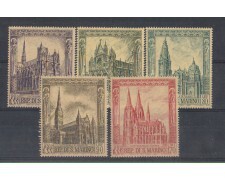 1967 - SAN MARINO - CATTEDRALI GOTICHE (UNIF.SASS.749/753) SERIE COMPLETA 5v. NUOVI GOMMA INTEGRA ORIGINALE. 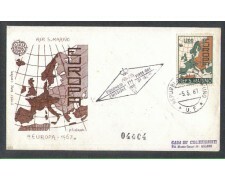 1967 - SAN MARINO - EUROPA (UNIF/SASS.742) FDC (FILAGRANO ) VIAGGIATA. 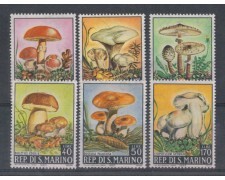 1967 - SAN MARINO - FUNGHI (UNIF.SASS.743/748) SERIE COMPLETA 6v. NUOVI GOMMA INTEGRA ORIGINALE. 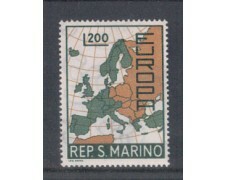 1967 - SAN MARINO - EUROPA (UNIF/SASS.742) NUOVO GOMMA INTEGRA ORIGINALE. 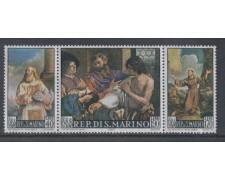 1967 - SAN MARINO - DIPINTI DEL GUERCINO - (UNIF.SASS.739/741) TRITTICO NUOVO GOMMA INTEGRA ORIGINALE. 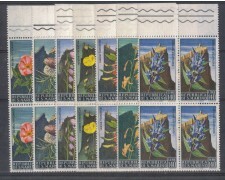 1967 - SAN MARINO - FIORI 3° SERIE (UNIF.SASS.732/738) SERIE COMPLETA 7v. IN QUARTINE NUOVE GOMMA INTEGRA ORIGINALE. 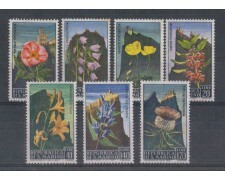 1967 - SAN MARINO - FIORI 3° SERIE (UNIF.SASS.732/738) SERIE COMPLETA 7v. NUOVI GOMMA INTEGRA ORIGINALE.